The latest Summerhill Sires brochure, penned in the hot aftermath of their tenth national Breeders’ Championship, ended with a piece on its sister business Hartford House, with a statement which in the heady context of what had just happened, might’ve smacked of exaggeration: “For every goal Summerhill has scored of late, Hartford has banged in two". Summerhill CEOGoodness knows, we’ve banged on often enough about the rewards we’ve reaped through our educational programmes at Summerhill. That we preside today over one of the best teams in the world is no coincidence: these programmes started when we first opened the gates, and those that know Summerhill, know the value of what’s happened here. Responsibility for the Mirza Al Sayegh Creche was recently assumed by Angelique Heinen (Business Manager Ferdi’s new “acquisition”), and she’s doing a sterling job preparing the little ‘uns for life in the big world. Cheryl and I have been fortunate in so many ways in our involvement with this property, and one of our most pleasurable dividends comes from our association with Hartford House, Cheryl’s favourite “child”. Quite apart from the fulfilment that comes from the beaming grins of satisfied guests, we’ve built associations with other exceptional establishments, principally those who partner us in the Land Of Legends, the world’s only collection of hospitality establishments whose “glue” is their celebration of history, their respect for culture and tradition and their preservation of the environment. 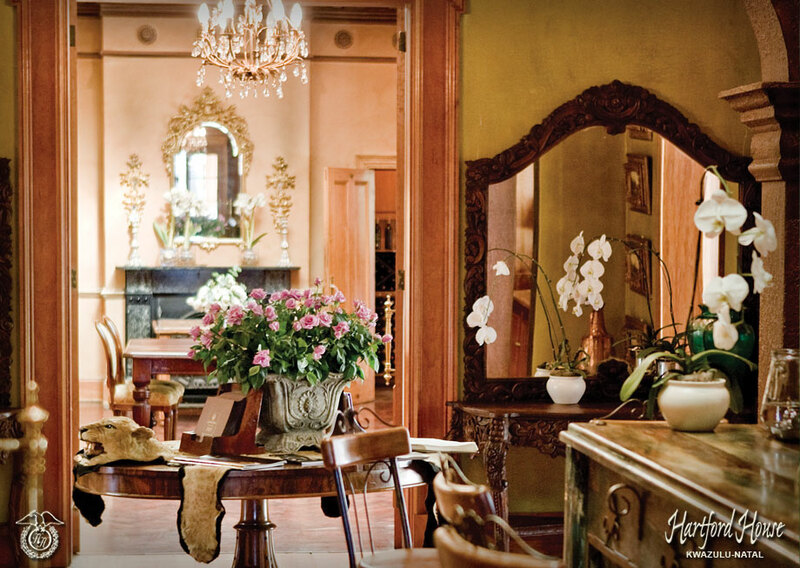 With very few exceptions, these properties represent the cream of KZN’s leisure destinations, and include The Oyster Box, The Beverley Hills, Phinda Private Game Reserve, Hartford House, Fordoun Spa, Rocktail Beach Camp, and the odd one out in hospitality, Fee Berning’s famous Ardmore Ceramics. As a group, we get together quarterly, and a couple of weekends ago we assembled at Phinda, arguably Africa’s finest private wild preserve, with its seven different ecosystems and the variety of species it supports. On the way there, we were privileged to be invited to Thanda Private Game Reserve, which is the property of the celebrated Swede Dan Olofsson, best known for his past association in the high tech world of Ericsson, his principal ownership of Teleca, Sigma and Epsilon, as well as numerous philanthropic commitments in South Africa. Thanda is a magnificent facility, and this past weekend it was populated by a mass of foreign visitors, mainly Swedes. We all know what Sweden did for our politicians in exile in the apartheid years, and we know too, that championing the cause of the underdog has long been a Swedish fetish. Of course, Alfred Nobel, who gave his name to the Nobel Prize, was a Swede, and that the hallowed institution that goes by his name, remains housed in that country. Sweden is renowned for the fact that it has one of the world’s most effective welfare systems, it’s famed for its standard of living, and its generosity towards philanthropic causes. Yet few of us know the extent of the generosity of the Swedes as a nation, and the remarkable work which goes on in the community around Thanda in the name of their “Star for Life” programme. It’s one thing for us South Africans to be doing our darndest to uplift our communities, it’s another entirely for people who live as far away as the Swedes do, to be doing so, and the team at Thanda appear to have settled on a marvellous model, where the benefactors not only part with their cash for these causes, but when they visit, they happily pay for that privilege as well! We’ve been associated with Phinda since its earliest days, when Dave and Shan Varty and the Londolozi team were the propellers behind its creation. At that time, Summerhill was home to horses belonging to the three game reserve “kings”, the Vartys, Mike Rattray of Mala Mala and Luke Bales of Singita. We knew these people well, and the enormous roles each has played in moulding the future of this country. Nobody has done more work in this realm than the guys at Phinda, and they’ve extended the hand of friendship across the waves as well, hence their brand name “andBeyond”. The Fitzgeralds, Steve and Nicky, perpetuated (and perfected) the dream, and Joss Kent is the latest impetus behind Kevin Pretorius’ tireless efforts at Phinda. You can’t help but be mesmerised by the Phinda experience, but this time we saw another dimension. We were taken to remote Northern location in the reserve, where six rhinos were quarantining before being “gifted” to the Botswana government. How many of us know that there are fewer than 20 rhinos in the whole of Botswana, and that another six will add almost 25% to that population? Holding six rhinos, strange to one another, in a confined space, is an onerous undertaking of its own, yet these were quite at ease with one another in preparation for their new frontiers. There are issues attached to relocation, one of which is often “bombshelling”, leading to a dispersal in any direction of these precious animals. In the context of what is happening with rhinos throughout the world, we know that that is bound to end in tragedy, so the timing of the transfer is critical. When these creatures arrive in Botswana, they will do so shortly ahead of the annual flooding of the Okavango delta, and they will remain in quarantine on their island base until such time as the floodwaters are high enough to contain them for the next several months. It’s hoped that by the time the waters recede, they will be sufficiently comfortable with one another and their new habitat to call it “home” under the watchful eyes of the andBeyond team; For all its wildlife diversity, it’s incomprehensible that Botswana should be so poor in its stocks of one of the planet’s most hunted creatures. Racing and breeding aficionados have embraced the annual stallion day at Summerhill Stud to such a degree, that it is now a fixture in many fans’ calendars. That was evident at the Midlands nursery on Sunday, where they fed more than 700 people from twenty-one different countries, including Kings, Queens and Princesses from two royal households, Ministers of State, Presidents and Chairmen of turf clubs and racing operators, and countless addicts of our sport. It is a tribute to what has become racing’s favourite day out, that it should have been identified by Investec, who sponsor not only Britain’s greatest race, the Epsom Derby, but also a number of the world’s leading sporting competitions, as an event they wanted to be associated with. Wherever you find Investec’s brand these days, there is an aura of class and sophistication to the proceedings, and Sunday was no exception, though as one wag put it, he’d never seen so many “zebras” at a stallion day before! A highlight of the day was the new Summerhill Sires Film, voted Sunday superior even to the previous two editions. It’s an indication of their public appeal that these productions have been aired not only on our own public broadcast channels, but also on Sky and TVN. While those on the Summerhill mailing list will obviously get their own DVD copies when the new Stallion Brochure is published towards the end of the month, those wishing to access the footage in the next few days should keep following blog.summerhill.co.za. The day was filled with the usual emotion that surrounds horses and people in the racing world, and there was a touch of nostalgia in the posthumous recognition of two of South Africa’s greatest sons, David Rattray and Lawrence Anthony, in the granting of Ingwazi Awards by the Land Of Legends (www.landoflegends.co.za), the only collection of hospitality properties in the world whose common bond lies in their celebration of history, tradition and culture. Appropriately, given David Rattray’s own fame as the world’s best story teller, the awards were presented by one of the best speakers on any subject anywhere, Professor Nick Binedell of the Gordon Institute of Business Science. Summerhill is not traditional Blue Crane country, so when six of our national birds checked in for the weekend at Ntaba Nqumo (Decision Hill) at the foot of the farm, the portents were good for a Springbok victory. They had chosen one of the most serene spots in the district, with views stretching across the length and the breadth of the Land of Legends. Named for the dilemma faced by the two generals on their next strategic move, this “koppie” is where former prime minister, Louis Botha, took command of the Boer forces from the hero of Majuba, General Piet Joubert, in November 1899. The sight before them surely inspired these two soldiers that this was a country worth fighting for. In the end, the Springboks got home on Sunday, but it was a close-run thing in which the Welsh played out of their socks, and where our countrymen were anything but convincing. A margin of a single point was hardly suggestive of a team on its way to retaining the World Cup, and in the process the match took its toll in the way of injuries. Our go-to man, Victor Matfield, pulled a hamstring, and Jean de Villiers, whose pained expression as he left the field with a rib injury was a replay for him of the opening match at the 2007 World Cup, could be on his way home. What the outcome may well have done, though, was signal an early warning of the shortcomings of the kick-and-chase game plan the Springboks persevere with, despite its lack of success in the last year since the rules changed. The modern game calls for the ball’s retention, and you kick your possession to attackers like the All Blacks and the Wallabies at your peril. The match probably also resolved a few selection issues, with Francois Hougaard’s try in the closing ten minutes underscoring the fact that Bryan Habana may well have reached his sell-by date. It took the replacement 10 minutes to score : Habana hasn’t done so in his last 10 matches. Bigger than that though, was the impact Bismarck du Plessis made when he replaced our captain. John Smit has been a talismanic leader of the Springboks for some time, and his 100 test matches are testimony to one of the finest captains to wear the green and gold. But this isn’t a sentimental business, especially in South Africa, and if the Springboks are going to be at their effective best for the rest of the tournament, John Smit will have to do his inspiring from the bench, and from the change room. He may well have a role to play in the impact department in the closing 15 to 20 minutes of a match, especially when his experience and his leadership will be most needed, but to have him grinding away for 80 minutes is not only asking him to go beyond his most effective range, but it is to deny the Springboks the services of the most destructive Number Two in the world. PIERRE JOURDAN'S SECOND : WAS IT GAME, SET AND MATCH? This weekend turned out to be historic for more reasons than the opening of the Al Maktoum School Of Management Excellence alone. In our time, a 1-2 in the biggest sporting event in Africa has only happened once, and that was to our neighbours, Alan and Vera Sutherland almost twenty years ago. This time it was the turn of Igugu and Pierre Jourdan, both raised and grazed on the historic pastures of Summerhill and Hartford. Though we only played the mid-wife to Igugu, both of their upbringings were evident in the last punishing 400 metres of the event, the filly getting home by just over a length in the end after making much of the running, and PJ shouldering his welter 57,5 kgs like a Trojan. 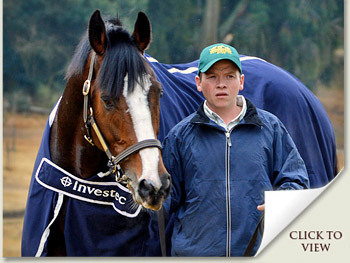 The bonus in all of this, is that, barring miracles, PJ’s R600,000 for second money has probably put the Breeders’ Championship beyond the reach of our competitors for another 12 months, and so Summerhill becomes the first entity in the past forty years to rack up seven consecutive premierships. We won’t celebrate until there’s a bit of singing from the lady that counts, but we have a bit of a cosy feeling for now! “You can take this filly anywhere, she’s world-class,” were the words of her world class trainer, Mike de Kock in the immediate aftermath, as he flogged the international health authorities for their timid management of the protocols that have done everything but strangle South Africa’s international trade. Which made us think of the boss’s revelation at Sunday’s Investec Stallion Day, that more than 500,000 horses had left our shores to fight the colonial wars, and never once did they export African Horse Sickness to any of the recipient nations. Surely that must be a salutatory enough lesson to those who make the rules, particularly when you think that South Africa has built a world class quarantine to enable these things. Back to the races, and a remarkable race by a quite remarkable filly, and yet another feather in the extraordinary cap of her sire, Galileo, whose progeny have won six Classics in Europe this year, and are as rampant as an unstoppable train. This really was a rags-and-riches story, with Igugu having stripped a cool R1 million from the unsuspecting pocket of a former electrician when she came up for sale in the Summerhill draft at the 2009 edition of the Emperors Palace Ready To Run Sale, while our man PJ, a comparatively unwanted urchin of the same sales ring, managed a paltry R60,000, hammered down to a previously unheralded owner by the name of Emilio Baisero, and the trio that make up the Gary Alexander Racing gang. 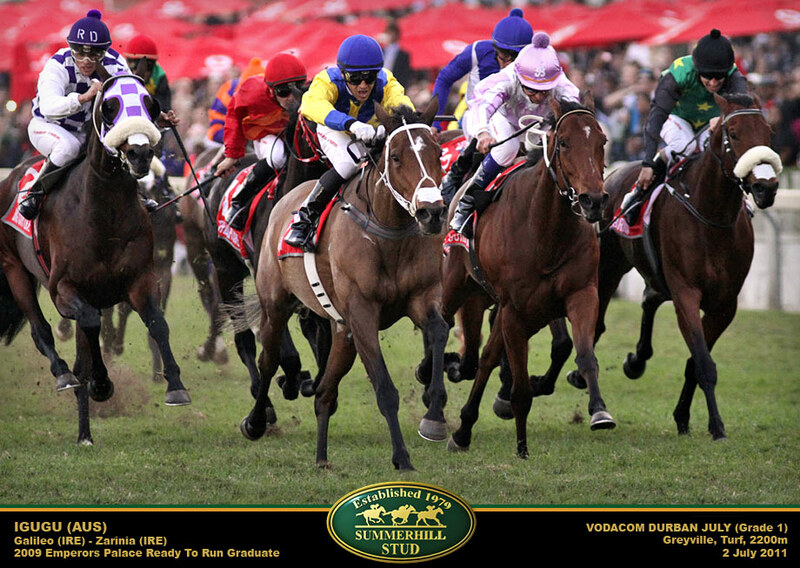 PJ went on to become South Africa’s biggest earner in 2010 (putting together more than R4 million in stakes), while Igugu, together with her Triple Tiara bonus, has already passed the R5 million mark, and she’s the second consecutive Summerhill graduate to top the national earnings. These are heady days for a farm like ours, despite the many years that we’ve been in business and the many great horses that have come off this farm, and they will count in the pantheon of our top five or six occasions for a long time to come. No less historic though, and perhaps of a far greater lasting value, was the opening of the School Of Excellence by the Province’s First Lady, Dr. May Mkhize and the Director General, Mr. Nhlanhla Mgidi, and the awarding to one of our nation’s greatest sons and certainly one of the world’s greatest conservationists, Dr. Ian Player, and to the Premier of the Province, Dr. Zweli Mkhize, of the Land Of Legends Ingwazi award for their contributions to life in our region. In the end, we had a record 21 nations in attendance, headed up by presidents, royalty, chairmen, champions and just good old racing folk, who came to worship their idols on a uncommonly cold day. That was nothing Waterford and Haute Cabriere couldn’t sort out, once we got to the warmth of the dining facility and Graeme Hawkins’ inimitable rendition of the stallion services auction. “The only world class hotel on a world class stud farm in the world”is the well-worn mantra of Hartford House, the fifteen suite boutique hostelry housed in the historic Prime Ministerial homestead on the Summerhill estate. The horsemen on the property have long prided themselves for their six consecutive Breeder’s titles in the most competitive era in history, yet Hartford House has matched the racehorse nursery stride-for-stride when it comes to accolades. Today, for the second consecutive year, the readers of South Africa’s most popular lifestyle magazine, voted it the Number One restaurant in the House and Leisure / Visa Best of South Africa awards. As competitive as the horse business may be, this one came in an environment covering more than 10,000 local eateries, and in a category which included among its finalists, two World Top Fifty celebrities, La Colombe and The Tasting Room. The Summerhill team is in awe of its little sister’s home run. We salute you, Head Chef Jackie Cameron, GM Paula Mackenzie and your exceptional band of merry people. Nobody’s worked harder and nobody’s more deserving. 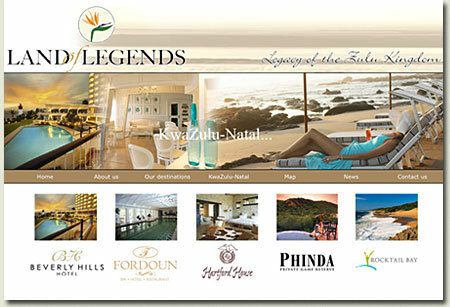 A few months back, we wrote of a grand old dame’s induction into the Land of Legends (www.landoflegends.co.za). We spoke then of Durban’s most famous hostelry, the Beverly Hills, and its affiliation with KwaZulu’s leading accommodation establishments, three of which had just been voted the nation’s best in the House and Leisure/Visa Best of SA Awards. Today we speak of another grand old dame, this time of the human variety, who’s passed to the Elysian Fields. Winks Greene was some lady. Everything she achieved in her life, she did off her own deep reserves of determination, imagination and an insatiable energy. When she first entered the world of physiotherapy, she had to withstand the resistance of many, particularly the veterinary profession, some of whom cast her business as some sort of witchcraft. Her only saving grace came in the belief she inspired in the then Champion trainer, Terrance Millard, and through his support her credibility and her talents came to be appreciated by a much wider audience. Many a Shark, and any number of Springbok rugby players were rehabilitated through sessions at “The Wolds”. And many a young lady, trained and mentored by Winks, has passed that way to become her reincarnations for the future. Their roads, of course, were never quite so rocky. In the early 1990’s, when Bruntville township on the outskirts of Mooi River, was the “hottest” spot on the political landscape and the regular scene of the shocking ritual of “necklacing”, Winks drove into the heart of it in the dead of night. Her purpose: to retrieve her beloved Jerseys, which had been rustled from her paddocks. Winks had the heart of a lioness. At the personal level, our mutual affection arose from the common reverence we held for thoroughbreds. Winks was born a member of one of our most famous breeding dynasties, the Labistours of Dagbreek, who produced the winner of two Durban Julys in the 50’s, Gay Jane (1951) and C’est Si Bon (1954) as well as a number of runners-up, Masquerader, Labby and Doctor John. Some place, was Dagbreek. Whenever we met, our conversations turned to those days, and to the stallions, Sadri II (who also won the July,) and the great French-bred English Champion Stakes hero, Mystery IX. Inevitably, we sat down to a glass of her favourite red tipple (it was the only thing about the Cape she liked more than her beloved Natal.) She always arranged my appointments with her to coincide with the end of the day, so that we could enjoy a natter at the end. The one thing that stood out about Winks Greene, was her generosity. She never had much money, but she’d give you the shirt off her back. She had a heart of gold. Thursday last witnessed a gathering of the “legends” at Umhlanga’s Beverly Hills Hotel, the grandest old dame on Durban’s glittering coastline. The occasion was the induction into the Land Of Legends of “The Bev”, as well as Fee Berning’s world famous Ardmore Ceramic Art, which is now at a point where an institution like Rovos Rail pull their great train up at the gates to Ardmore, for their international travellers to glimpse the remarkable work which springs forth from the creative loins of Fee’s Zulu artists. Yes, Rovos Rail, of all rail operators. There is no bigger compliment. From a Summerhill perspective, it’s the connectivity with the great racing events of the KwaZulu-Natal winter that matters, and like The Oyster Box next door, The Bev has any number of stories to tell of the great characters of our history. Besides being the hotel of choice for most of the best cricket and rugby teams of the world, the guest list reads like a who’s who of Hollywood, Broadway and the parade, including Sir Cliff Richard, Embert Humperdink and Whitney Houston. If we’re going to put up our hands finally to the rest of the world, and claim the right to be counted with the most favoured places on earth, we have to have establishments of the stature of The Bev and The Oyster Box, not only to pull the crowds, but to reassure them that this is KZN’s time. 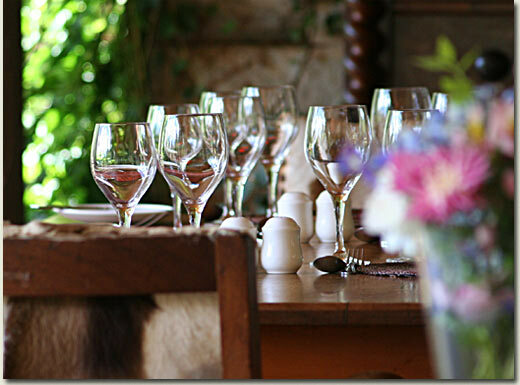 In the end, we have the most diverse collection of visitor offerings in this country, if not the world, with outstanding venues at the Beach, in the Berg, the Bush and the Battlefields, and with its proximity to the new King Shaka Airport and the biggest port city in Africa, The Bev adds a special dimension to our collection. Before we leave the Oyster Box, names like the Durban July Room, the Flash On and Sea Cottage suites (ring some very old bells?). We stayed in the latter, at a sumptuous R17 000 night apartment on the beach with its own plunge pool gazing out over the warmth of the Indian Ocean). The Oyster Box, driven by the energy and enthuisiam of Wayne Coetzer, is well on its way to reviving memories of the greatest characters of our sport, Cyril Hurwitz, Laurie and Jean Jaffee, Graham and Rhona Beck, Eric Gallo, legions of them who decades ago, darkened their doors. And so we passed on, to another Jaffee, Hurwitz, Gallo and Beck haunt, The Vineyard in Cape Town, for the annual Eat Out Restaurant Awards (for the full story, click on www.hartford.co.za). This place hums, and deservedly so, because as a world class operation, it carries the mantle as the best value-for-money in an overcharged world. Laid out more than a century ago by the much loved Lady Anne Barnard, family-owned and family driven, The Vineyard perches in one of Cape Town’s most spectacular gardens, and in the short time we were there, we renewed an acquaintance with the most powerful minister in the South African government, Trevor Manuel, and became acquainted with the King and Queen of Norway, out here on a state visit. So we came to the realization that we needed to flatten our management structure, and that experts in each division would be far more effective than subordinates answering to someone who himself was no expert beyond his own qualifications. Instead of bookkeepers, we put chartered accountants in charge of finance; instead of a part-timer we put a serious agriculturalist in charge of the farm; and the stallion manager was exactly that, a stallion man, dyed in the wool. The Broodmare Manager is a graduate of a veterinary school, the Building and Maintenance Manager was no longer a handyman; the trading store demanded a trader in the proper sense of the word. And so on. The increments that flow from this approach are remarkable. Having an expert doing his job properly means others can concentrate on theirs: the need for duplication is cancelled and the added capacity is palpable. Not only does this mean the job gets done the way it’s intended, but it also means there is plenty of room for more horses, more stallions, for more feed, more foals, more customers, for more guests at Hartford, more insurance through that division, and so the wheel grinds on, and the team gets better by the day. We’ve been here thirty years now, but the real work started only fifteen ago. The word “only” is appropriate here, as fifteen years is a big chunk of any man’s working life, either way. The other thing that flows from a job well done, is the satisfaction of having done it. I’ve always said I’m the luckiest man on earth, living where I live. I wake in the mornings and gaze out through double doors upon a world heritage site, at the centre of which is “The Giant”, the pivot around which our lives revolve. Like Gulliver after a well earned rest, he lies there prostrate across the length of the Drakensberg, the tip of his nose and the point of his chin signalling the apex of these great mountains. I wake up next to one of the loveliest ladies in Mooi River, and I’ve been doing this for more than 30 years; I go to work with some of the finest people on this earth, and I get to work with the greatest creature the good Lord ever created. What a noble profession, made the nobler by the quality of those around us, and the excellence of what they deliver. The next episode will follow next week. Over the next few weeks, we’ll be recounting the issues that influenced Summerhill’s ascent to the National Breeder’s Championship, and what roles they contributed to the process. Some background might be of value here. While horses have been in the blood of most of us ever since we can remember, the realities of running a commercial stud farm were so far removed from any other business experience we’d known, our venture into stud farming was like entering kindergarten for the first time. It was 1979, and a chance visit to Summerhill to see a yearling filly we’d just purchased at the National Sales was at the root of it. It was tough in those days to make a living out of horse breeding, partly because there was just not enough money in the game, and partly because very few people had any understanding of what it took to turn the breeding of racehorses into a successful business model. Summerhill was a victim of both of these things, and was losing money, and I was asked to intervene, at both a legal level and with ideas on a turnaround strategy. The first part was easy, the second was a venture into the unknown. It was obvious it needed fresh money, a capital injection of substantial proportions, yet that on its own would be frittered away without a sustainable plan to reinvent the business. That Summerhill exists today as a thriving business tells us we found something on which to found a viable business, but that was for the short-term. We’ve been here 30 years now (precisely, this year) and for 12-15 of them, we laboured along in the hope that one day we’d see the “big hit”. Not long after we opened the “new” gates, we struck gold, with the advent of the great stallion Northern Guest, but once he’d come and gone, we were floundering for the next bright idea. This is quite typical of so many horse farms, where reliance on the belief that the elusive needle in a haystack might just turn up for you one day, seems to epitomise business models. Rich people might achieve this by simply going out and buying the genetic giant which turns the whole show around, but even then, it’s still a lottery. To say that after 15 years, we were disenchanted with our results is putting it at its lowest level, and while we were still eking out a modest living, the results were not what we intended when we set out. So we started to examine the models around us, and those of the more successful farms abroad. Our own results were sluggish, and we were looking for ways to extract ourselves from the malaise of ordinary returns and results. What we found was interesting. Most farms were run by a horseman, which is perhaps not so strange, because banks are run by bankers, legal practices by lawyers etc, and whether they were owner-run or horseman-managed (whilst owned by someone with other interests), the structural models were pretty much the same. In the agricultural context, this is also not so strange, because cattle farms are usually run by a stockman, crop farms by croppers etc, but there is one strong distinguishing feature between the horse farm and most other agricultural activities. This rests with the market, and the customer base it serves. In just about every other farming endeavour, the product goes to a mass consumer population, while the thoroughbred is an item of luxury, it belongs in an extraordinarily sophisticated environment, and appeals to a relatively narrow group. Besides, like no other business, horse breeding is riddled with myths and old wives’ tales, concocted over the decades by people whose achievements would appear less of a spectacle were it not for their aggrandisement in the eyes of people who’d know no better. Reality is, ours is a fairly straightforward endeavour, simplified by the truths that flow from a closer understanding of the ways of Mother Nature. The skills sets needed for the management of a successful commercial racehorse farming business are so far removed from those of a normal breeding operation, as to be of an entirely different species. While they may include some of the same, there are a number of broadly diverse dimensions to the skills needed for horse farming, and for which you need to search for these in earnest. We did. The next episode will follow over the next few weeks. Nature plays a primary role in nurturing youth to achieve success and we have been privileged to witness the arrival and growth of a new crop of youngsters this year, many of whom are about to take a “big step out” on their own as they are weaned from their mothers to become individuals. Mother Nature herself will continue to shape their futures, providing them with rigorous challenges along the way, as they are molded into champions to follow the previous generations on the turf. The natural environment that is Summerhill provides the ideal holistic nursery for growing stock; it also provides a home for a stallion barn which is the showcase for some of the finest thoroughbreds in the southern hemisphere. Stallion manager Greig Muir arrived in South Africa almost a quarter of a century ago, and reminiscent of Seth Hancock’s line, he married childhood friend Michele and took up accommodation in what was Colonel Richards stockman’s house, soon to be christened “the Convent”, under which roof twins James and Devon were born. From the Colonels stately homestead itself, did their education commence in an environment perfect for developing youth and enquiring minds; it culminated in the achievement of Academic Colours at the close of their 10th year at Treverton College this year. Congratulations to James and Devon on the attainment this award. All great pedigree pundits argue the origin of talent, be it the “get” of the sire or dam, Lady Josephine or Pocahontas, we all must remind ourselves that less than 2% of stallions make great sires, either way, congratulations must go to the proud parents as well.